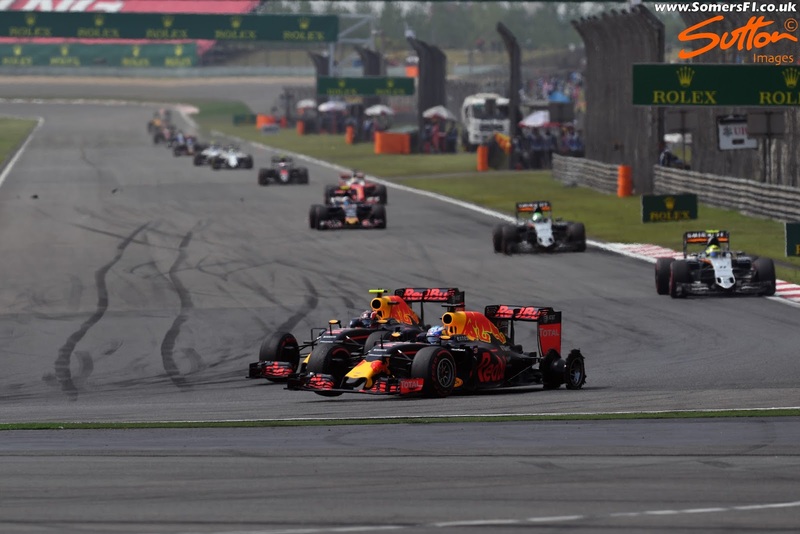 The Chinese Grand Prix saw a catalogue of drivers with damage, predominantly caused by the melee in turn one at the start of the GP. The incident involving the trio of Kvyat, Vettel and Raikkonen had a domino effect and when the latter came back onto the circuit it forced Nasr to take avoiding action who subsequently picked up Hamilton. Let's take a look at the various damage and see how it affected the given driver. The Russians damage was isolated to the left hand sidepod, with his airflow conditioner torn off in what I understand to be the collision with Raikkonen in turn one. 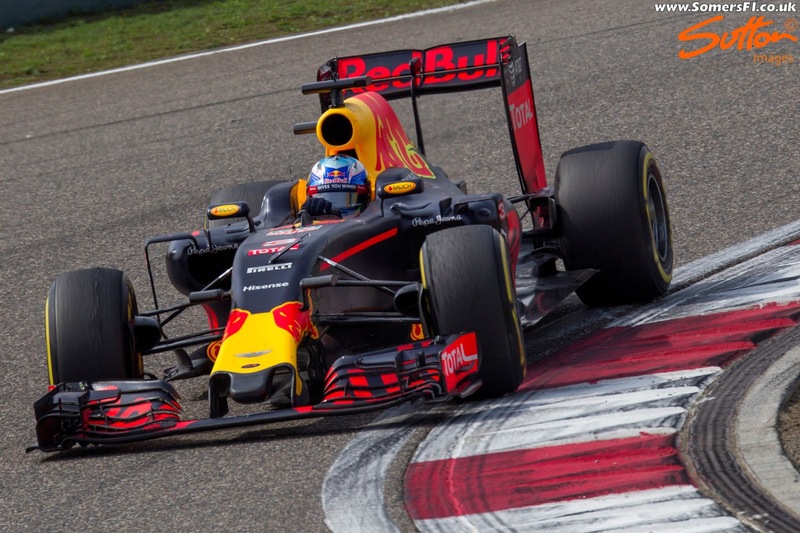 As the Finn was turned around by his team mate, he nudged the side of the Red Bull, taking off the airflow conditioner. In terms of performance its not an absolutely critical aero part but it does have an effect on the shaping of the tyre wake shed by the front tyre in yaw. 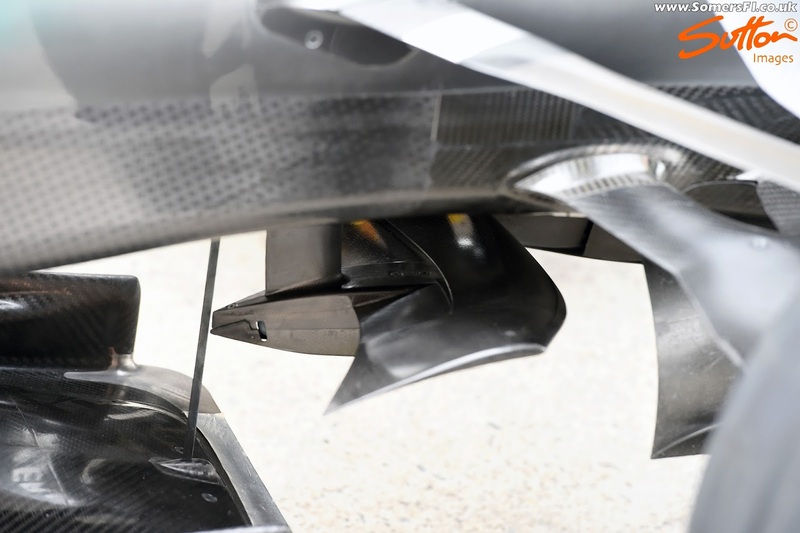 This has an effect on both the performance of the upper surface and shoulder of the sidepod, whilst the airflow migrating around the sidepods undercut is also compromised. It'll likely have had some effect on the balance of the car, but I suspect Danil could dial it out by changing his diff settings and adapting his style a little. I'm not going to be drawn on who hit who, and who caused what, however, if you watch the footage back no-one seems to have seen the impact Bottas had on the situation and/or the fact that Kimi was dancing around from either side of the track between corner entry and exit either. Anyway, Vettel sustained front wing damage in the melee, which left him with no endplate on the left side of his front wing. The team changed the wing under the safety car, which minimises the time loss to the opposition, although with many not stopping under the safety car, as they started on the soft tyre, it left Vettel down in 15th and needing to make up numerous places on the restart. The bad news for the German is that he then damaged the wing again a few laps later, whilst scrapping with Bottas for position into turn six. The endplate and cascade stayed attached, albeit not in their correct position for several laps before departing and leaving him in the same situation as he found himself before the stop. The damage, although viscerally extensive, is not as bad as it would have been in years gone by, with the endplate not entirely redundant but of less use than it used to be. 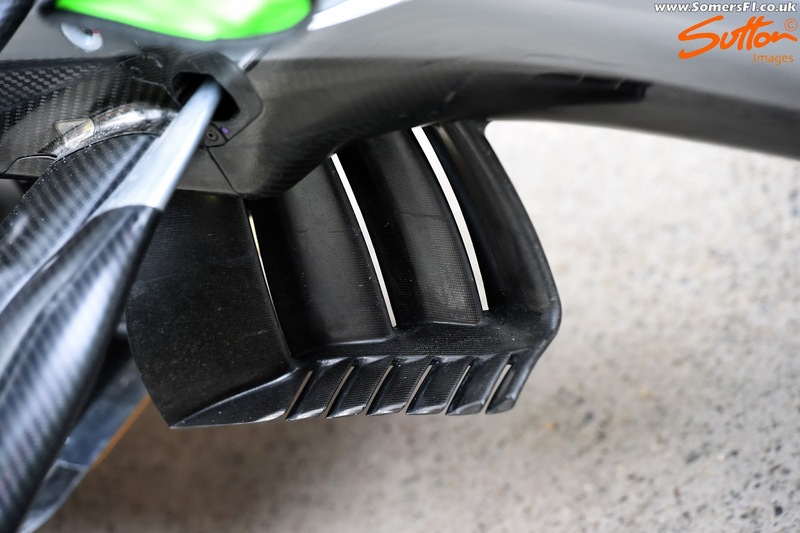 The trend that has seen the teams adopt expansion tunnels ahead of the front tyre means the endplate does little to increase the aspect ratio of the wing. 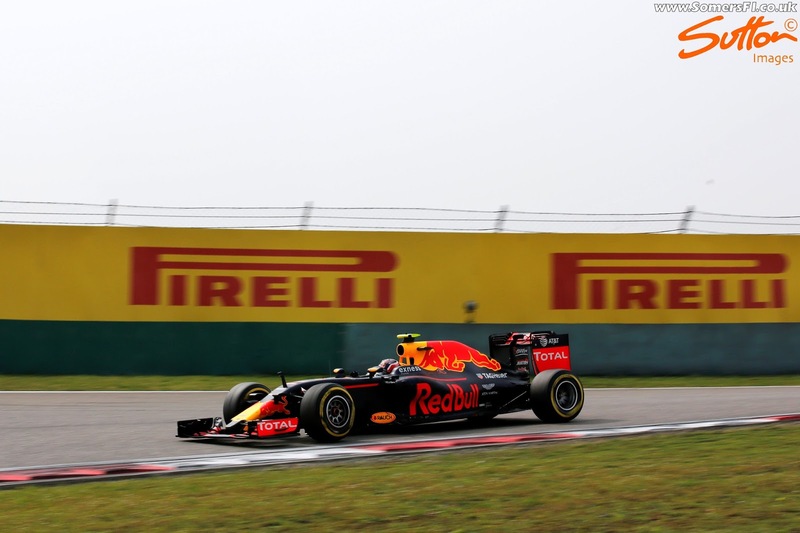 Rather it is simply placed in order to meet the regulations and work with the various solutions used to turn airflow up and around the front tyre. You'll note that the main cascade is also missing, torn off in the damage, with it attached to the endplate. In terms of performance it will have an effect, not only as an independant component but as part of the ongoing redistribution of airflow around the car. I'd expect a driver of Vettel's calibre to be able to drive around the problem, with an adaption of driving style and various diff and engine mode settings. 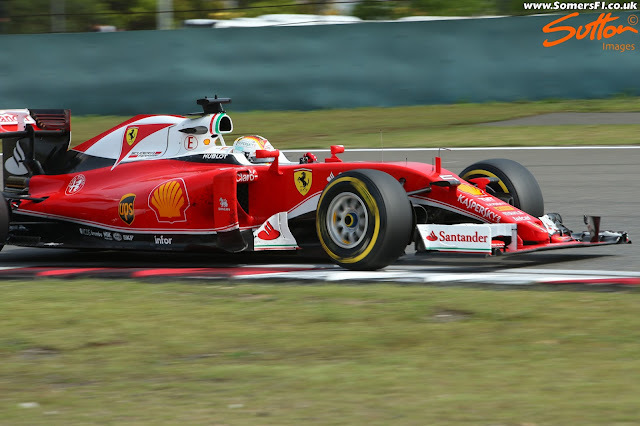 It would clearly have an impact on raw performance and certainly exacerbate tyre wear throughout the stint. The likeable Aussie didn't really suffer damage through his own doing but found himself having to fight back through the field having led the race and then suffering a left rear puncture, likely from a cut to the tyre caused by the debris strewn around the circuit. Ordinarily I'd expect damage to be caused to the floor deck ahead of the tyre, diffuser and/or brake duct as the tyre shed the carcase of the tyre. However, watching the replay back you can see the tyre deflating in the previous few corners before letting go on the back straight. 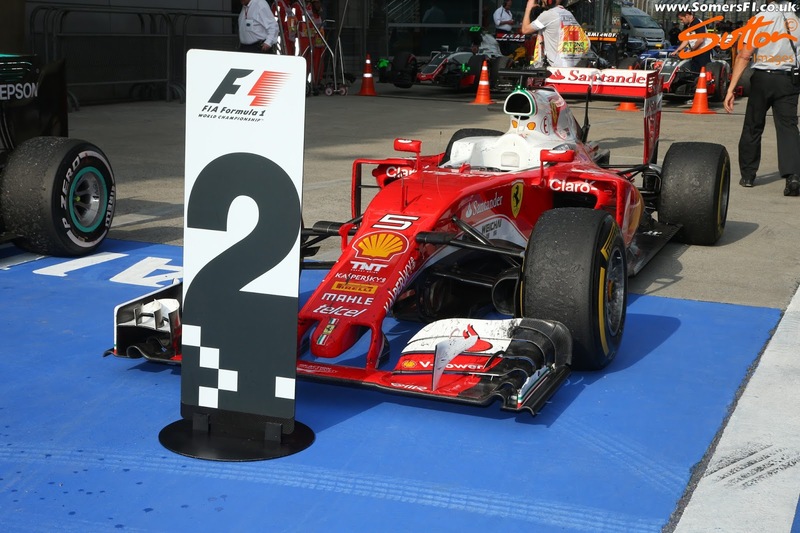 Fortunately, he didn't have a long trip back to the pitlane either. Whilst it's difficult to see damage on his RB12 I'm sure the tyre did have some effect, which would have impacted on rear downforce. 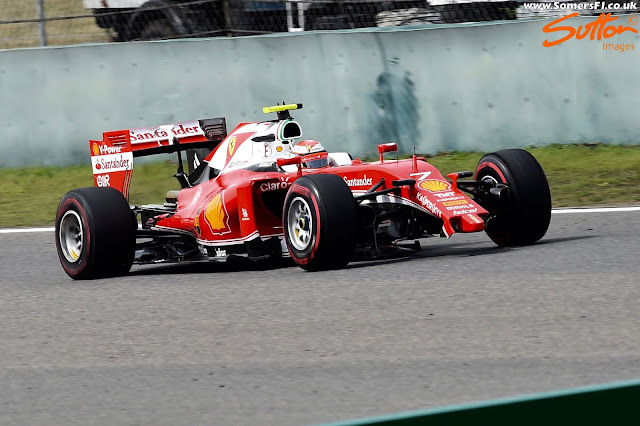 The turn one incident with his teammate and Danil Kvyat left Kimi without a front wing and a significant time loss to get back to the pitlane. Aside from the wing damage, replaced in the pit stop it seems the Finn got away without any serious damage and recovered to take 5th place. 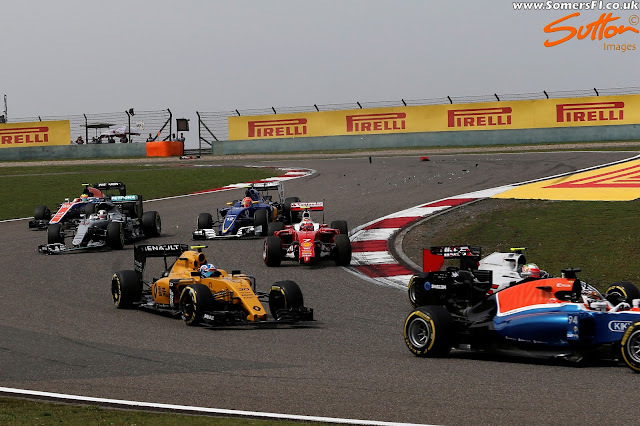 Clearly the biggest loser at the beginning of the race was Lewis Hamilton, with the Mercedes driver shunted by Felipe Nasr as he tried to avoid Kimi Raikonnen as he returned to the circuit. 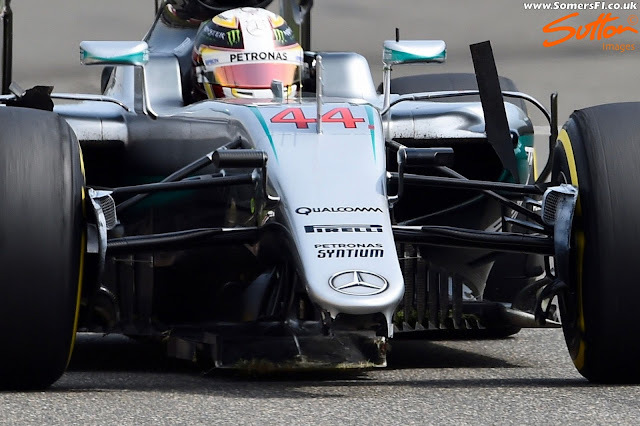 The front wing stayed attached on one of the pylons initially but soon gave up the ghost, with Hamilton driving over it, it became lodged in between the front wheels and front of the floor. When the front wing made a bid for freedom it exposed the extent of the damage the Mercedes driver had suffered. Not only was there aero components broken but the trip across the grass and gravel as the car lost downforce, when he shed the front wing, meant all manner of vegitation became wedged in the car. Whilst it may sound silly this grass, mud and gravel would have an effect on performance, especially as they're in quite sensitive areas of the splitter, floor and bargeboards, all of which have been focused on for the W07. Whilst the performance of the parts were being limited by the debris it is also clear to see that the parts themselves were also damaged. 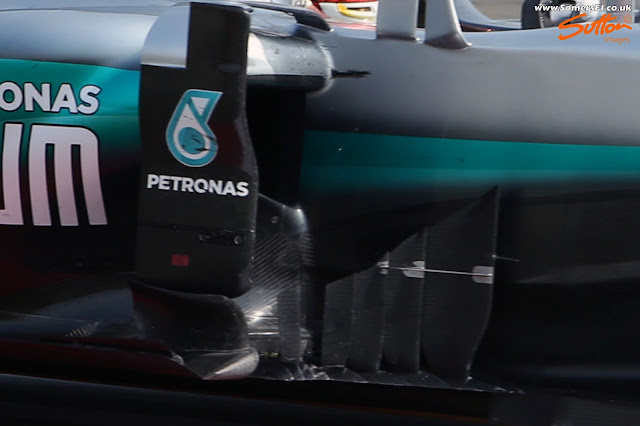 We can see that the bargeboard is missing one of the vertical sections in the image above, whilst the most rearward one has also been dislodged. 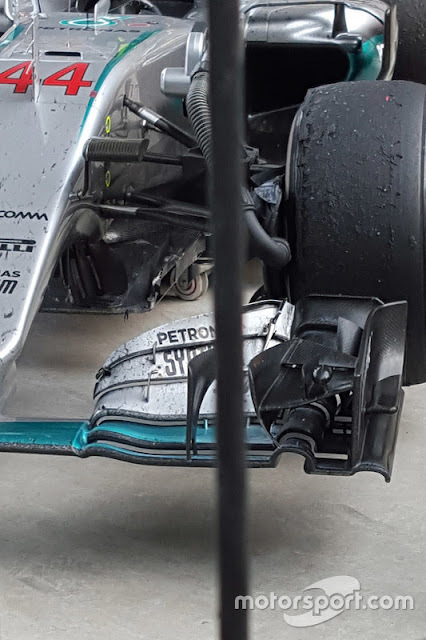 This image captured in the pitlane, shows how much damage was done to the turning vanes which hang under the chassis and help to both control the Y250 vortex and the wake shed by the front tyre. As a comparison, here's how the turning vane should look with the forward most element and the serrated footplate totally torn off. Meanwhile the damage to the splitter is extensive too, with the stay which controls the finite height it runs at completely broken away from the chassis. As I've discussed on numerous occasions the top teams use this area of the car not only to hold ballast but I also believe to control the frequency at which the tyres operate (think mass damper). In the comparison image above we can see, the thin metal stay, whilst it is important to note just how clean the front edge of the splitter should be. These are extremely sensitive areas of the car and can have widesweeping implications to the performance of the car as a whole, I wouldn't be suprised if performance worsened as the race unfolded with less fuel onboard the stance of the car changes and these devices become even more relevant. 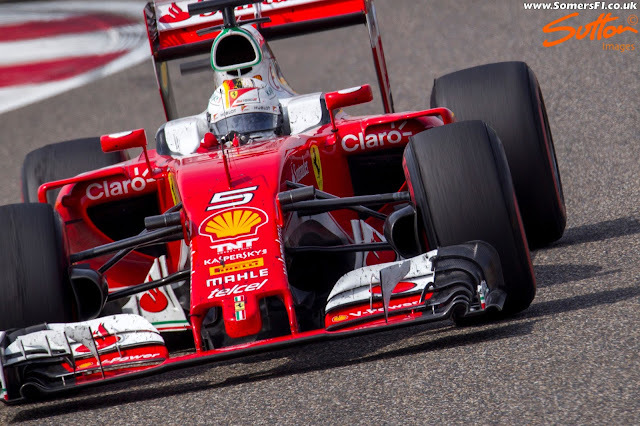 Furthermore, the tyre stints were shortened, as more energy was being exerted into the tyre to compensate for the loss in aero. Based on the strategy in use I think he did well to recover seventh position and can understand why he couldn't pass Massa. Whilst I realise that Mercedes have a huge pool of data, experience and engineers at their disposal I'm always shocked when a team makes reactionary pit stops and doesn't hold to assess. Yes, you can argue you are then less than optimal on brake, tyre and powerunit temperatures but a quick clean up of the splitter as a bare minimum may have helped, although a cleaning out of the debris caught in the 'W-Floor' could have helped mitigate the time loss in additional performance available on track. Now whilst hindsight is a wonderful thing, my immediate reaction to the first pit stop at the end of lap one, was to put Hamilton on the Super Softs to guage the maximum performance available at that point in time. This would have achieved what Mercedes eventually did when they made another two stops under the safety car for a consecutive Super Soft, then Soft change. Would it have won him the race, no, however it would have put him in the same sequence as the Red Bull's and likely have promoted him ahead of at least Massa. In each case the damage caused to their cars compromised their races in very different ways and made for a very entertaining battle up and down the field.